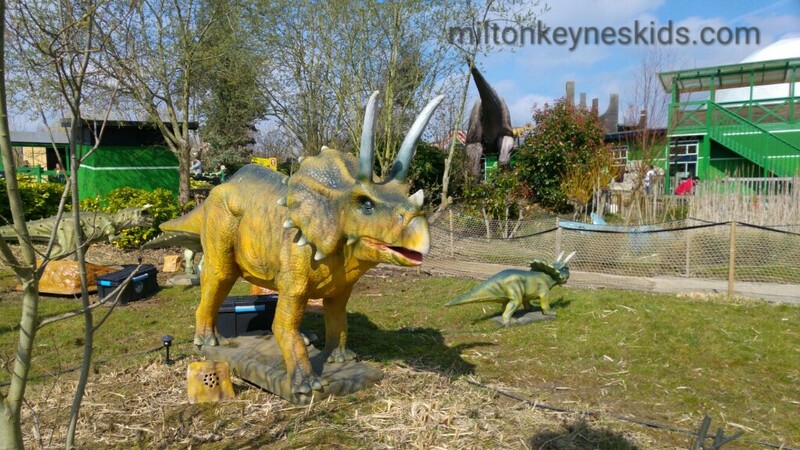 Gulliver’s Dinosaur and farm park is next to Gulliver’s Land in Milton Keynes and is really two parks in one place. 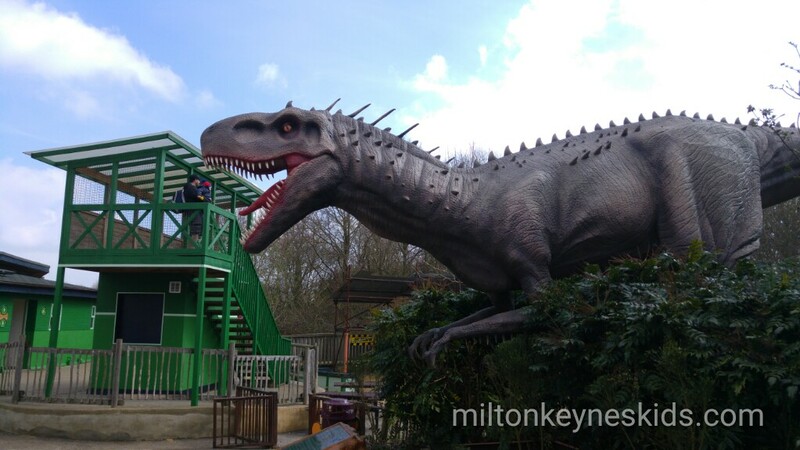 For the 2016 season, the dinosaur part of it has had a Jurassic Park style revamp. 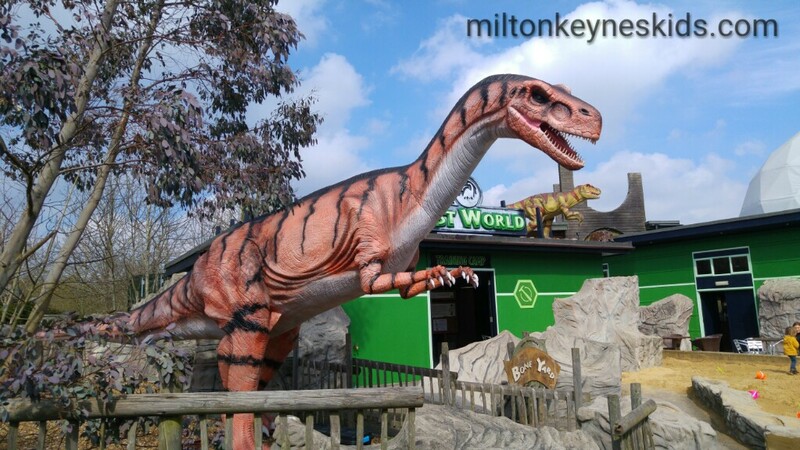 There are now 32 animatronic dinosaurs in the ‘Lost World’ and they’re definitely a welcome addition to the park. 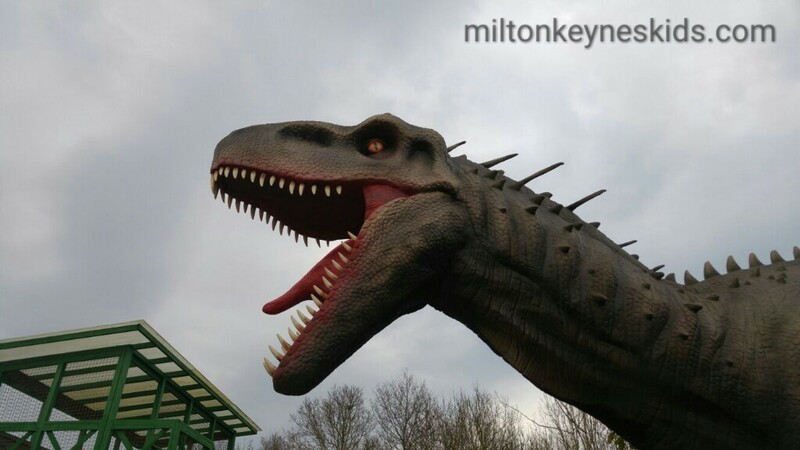 There’s some really big ones (with big teeth) and lots of smaller ones which roar as you walk past them. 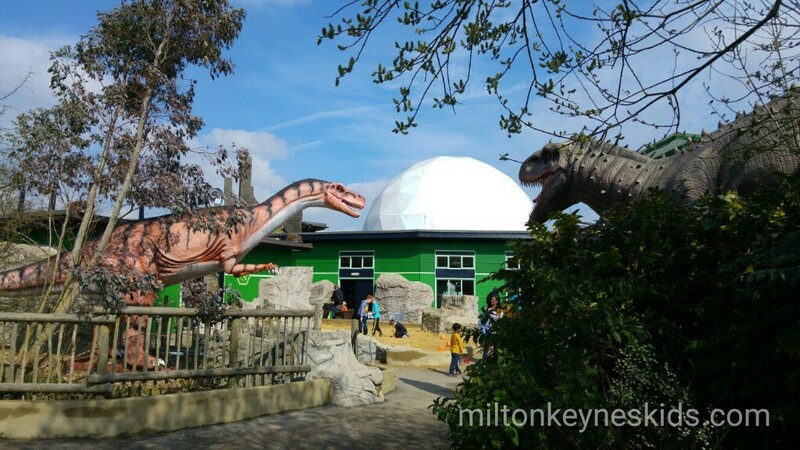 We thought they were really impressive – but just bear in mind if you take a toddler the dinosaurs look even bigger – and possibly more real to them – it may be their first encounter with some scary looking creatures. 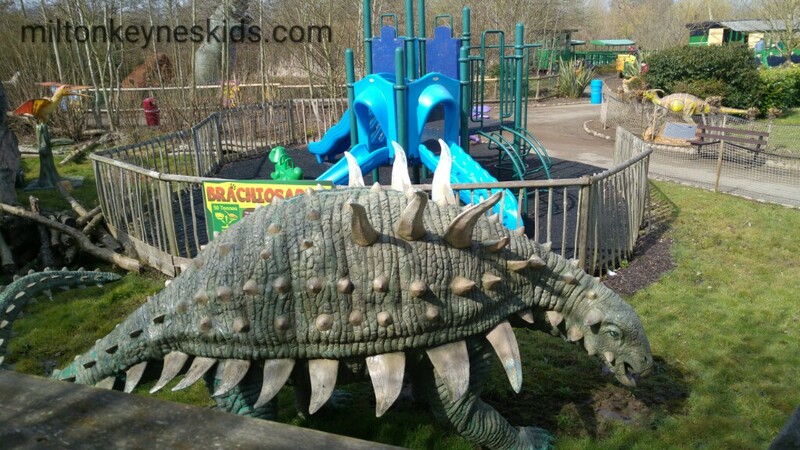 You can touch them as you wander around… and make sure you take lots of photos. 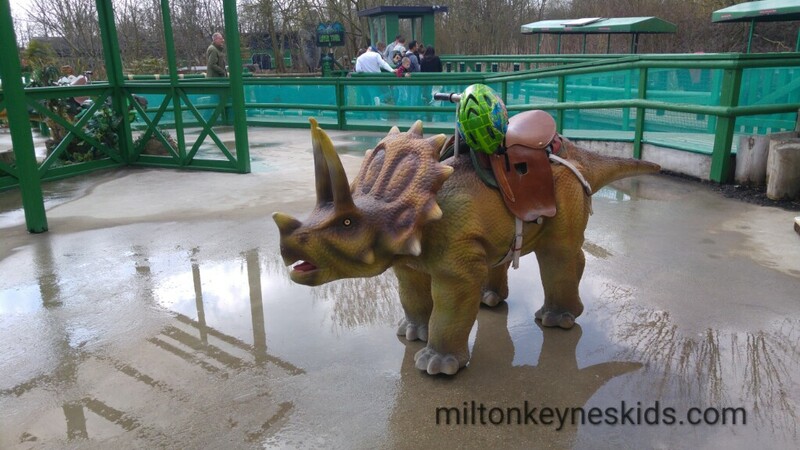 Children can ride some of the dinosaurs in a designated area at selected times – it reminded me of the petting zoo part of the latest Jurassic Park film. 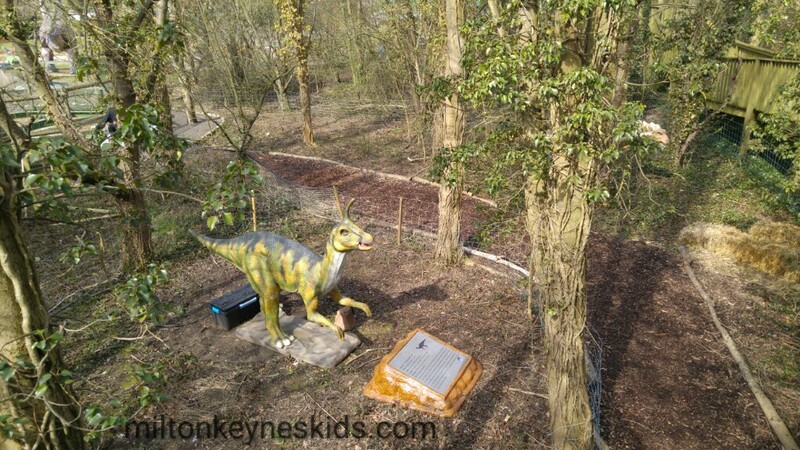 My toddler enjoyed digging in ‘the boneyard’ and also another sandpit where he was delighted to find a small piece of ‘gold’. 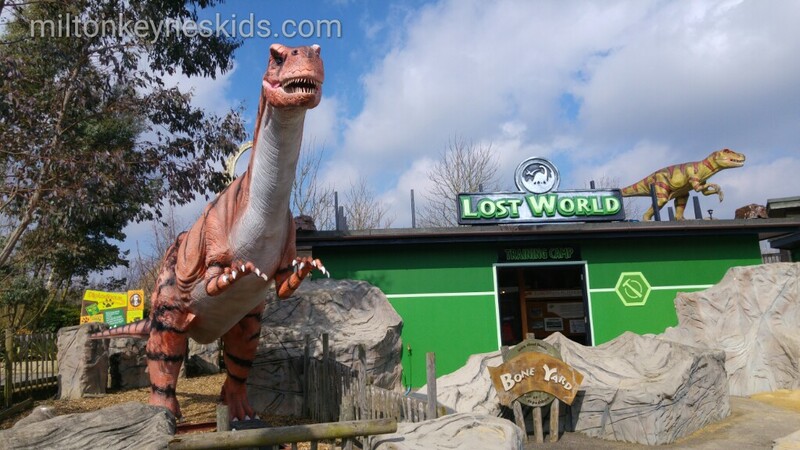 There’s a 10 minute boat ride to do more dinosaur spotting in the ‘lost world river tour’, a nice play area and also a bug and reptile centre where we liked looking at the tiny turtles and the bearded dragon. 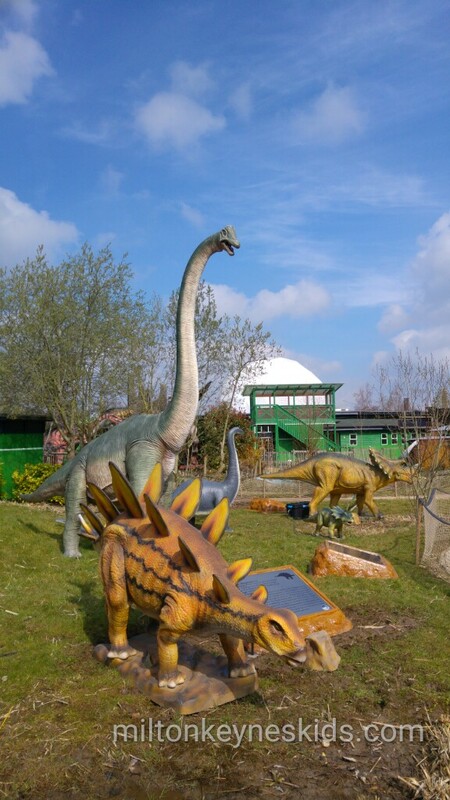 As you walk out of the dinosaur park you walk into the farm park. 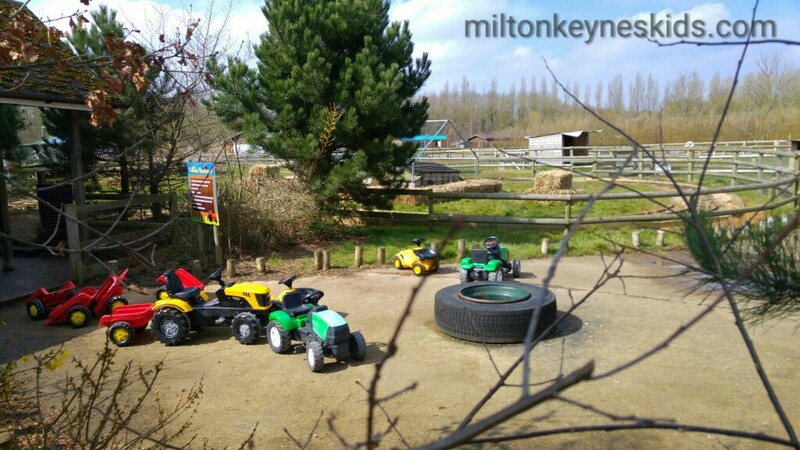 My little boy found there was plenty to enjoy including a soft play area, ride-on tractors, ride-on diggers and a tractor ride. 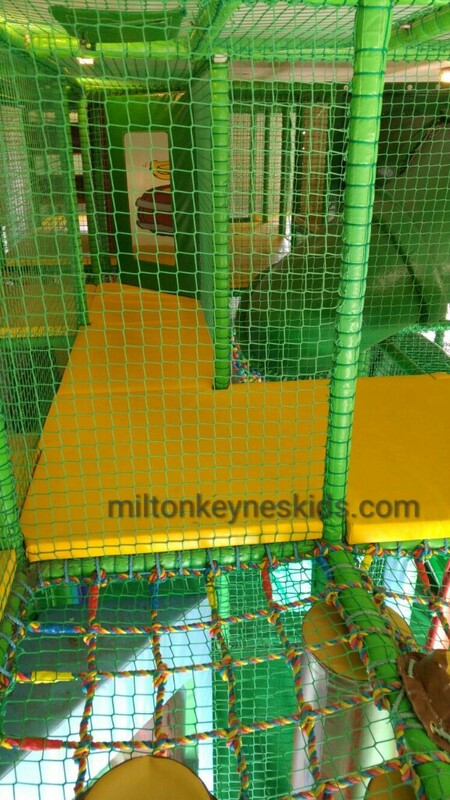 There’s a really nice climbing frame which he and friend loved going up and down. 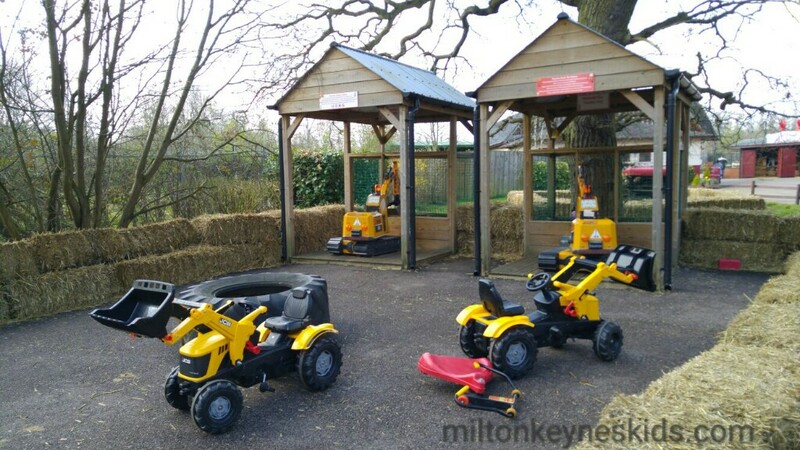 He’s a big fan of gardening so liked filling up the small wheelbarrows with soil and then moving them around – he was quite disappointed to leave this area (I really must look to get him his own wheelbarrow for his third birthday). 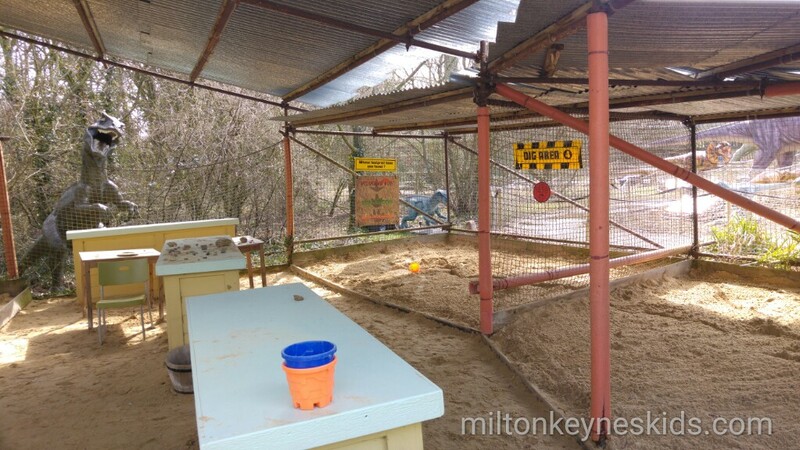 He liked looking at the baby chicks and also planting a special seed that we were given when we went in. 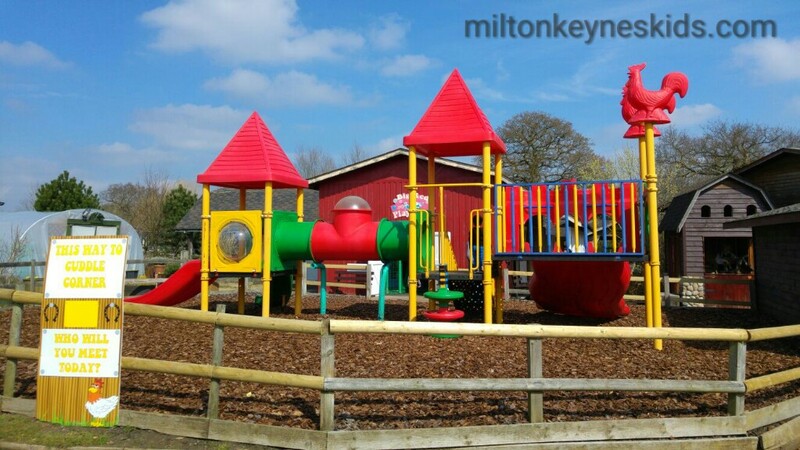 There was also a number of animals to look at including turkeys, lambs, rabbits, pigs and sheep. 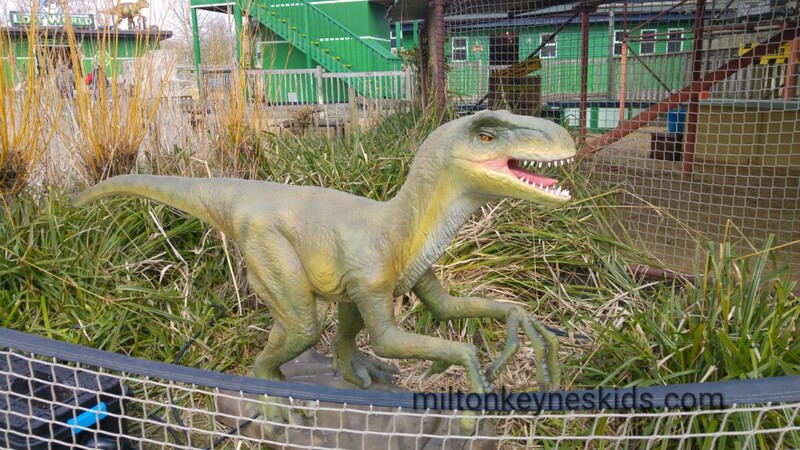 The farm park looked less pretty than when we visited last in September. 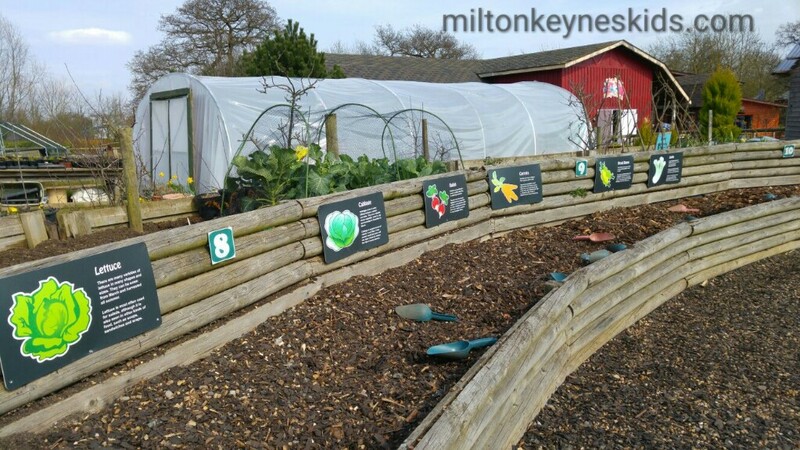 Lots of plants are grown in the park and will probably mature later in the year. 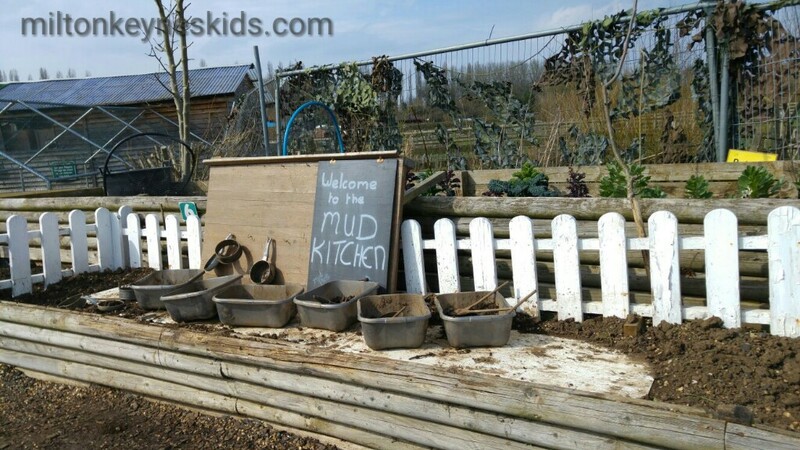 It was quite muddy in places so worth taking wellies depending on when you visit. 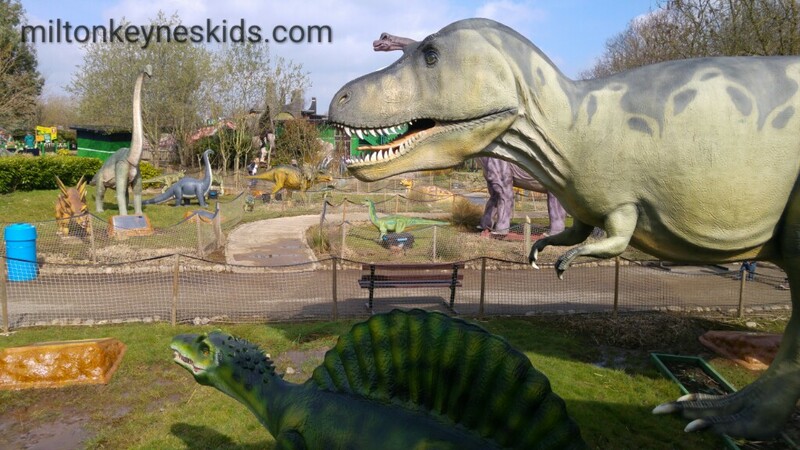 At the time of visiting my little boy was two months off being three and we had an excellent time. 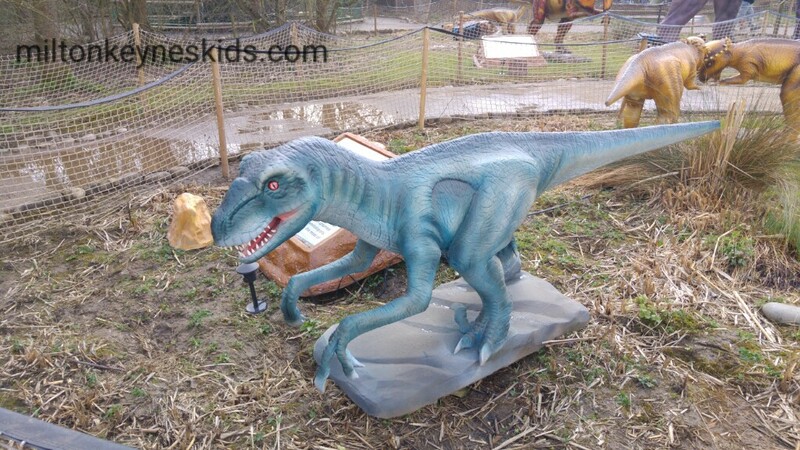 I think under 5s would easily have more than enough to do there for a whole day… and love it. 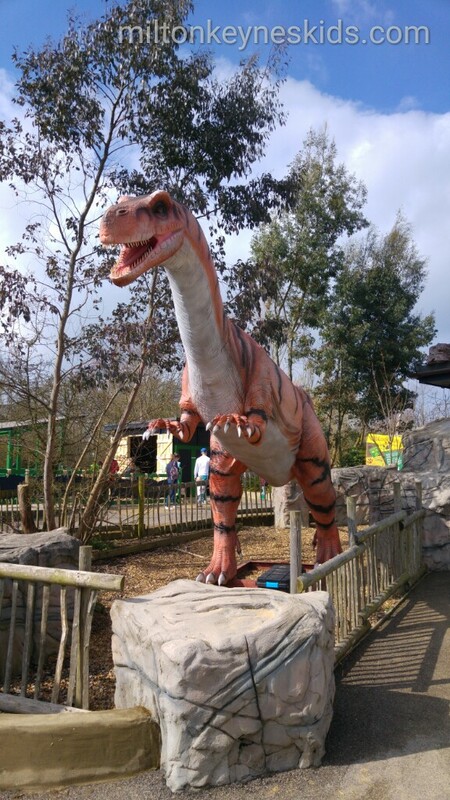 But… and here’s a word of warning, particularly if you have older children, it’s NOT a big theme park so don’t go expecting it to be, nor does it have big rides or big slides. 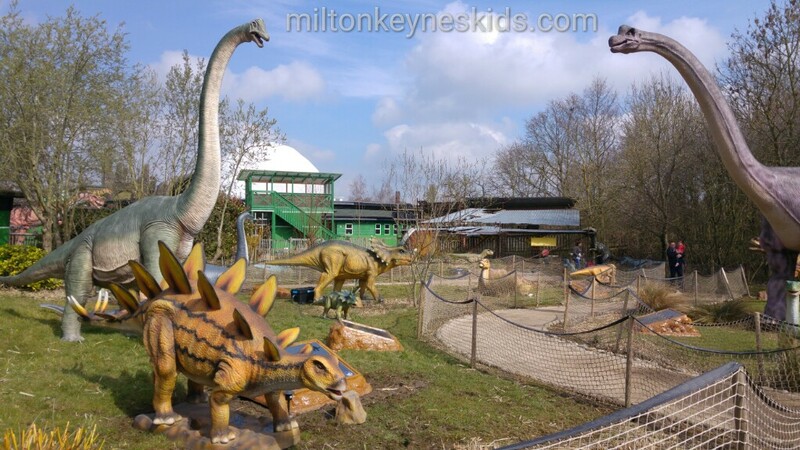 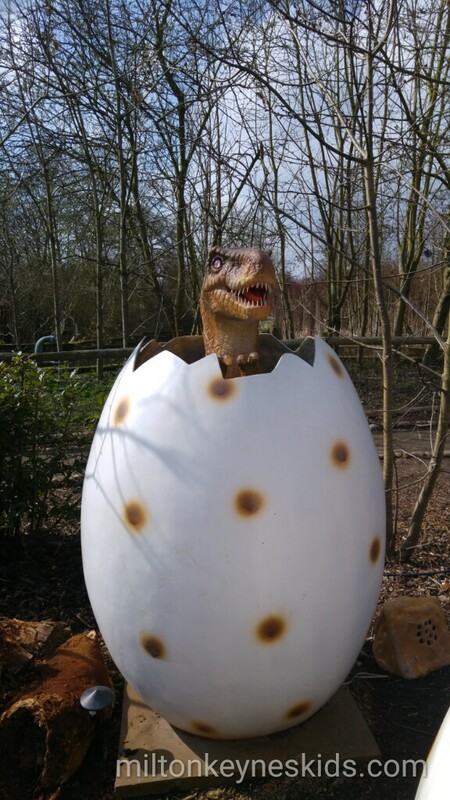 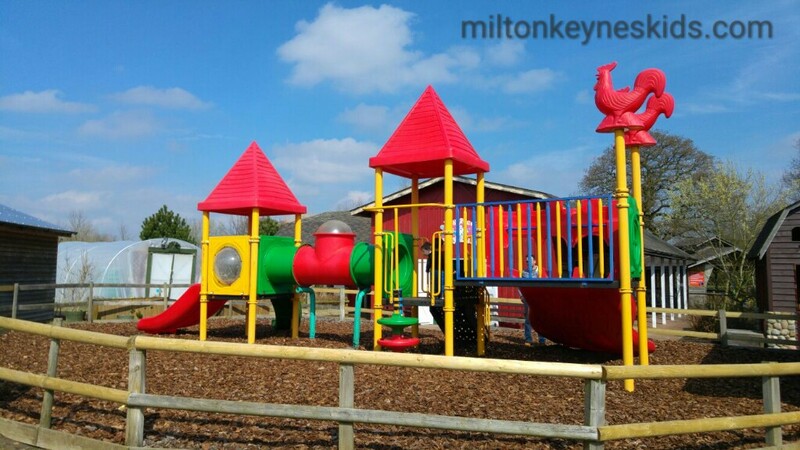 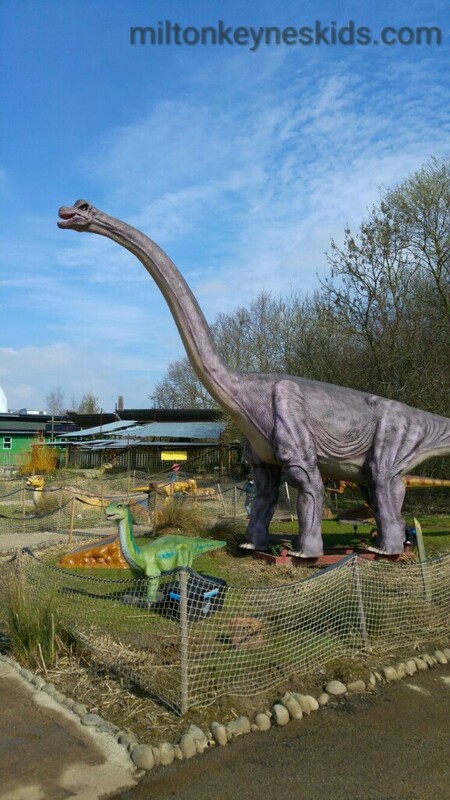 It’s somewhere to visit if you have children who like seeing dinosaurs, digging in sand, smaller climbing frames, looking at reptiles, boat rides, going on ride-on tractors and diggers, soft play, and mud kitchens. 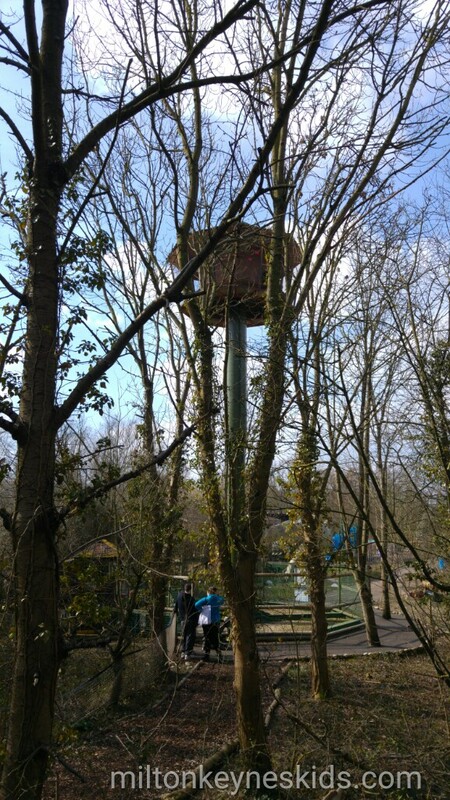 It’s very much a treat day out for us – at the time we went it was £9.95 for adults and children, and kids under 90cm were free.